In 2014 an independent tribunal in The Hague ruled that one of Russia’s most successful companies, Yukos Oil, had been illegally expropriated by the Russian Federation. The tribunal awarded compensation of $50 billion to former Yukos shareholders. The Russian Federation refuses to pay these awards, and resists every attempt to enforce them. As the Kremlin strives to undermine our values and our democratic institutions, it has nothing but contempt for the rule of law. 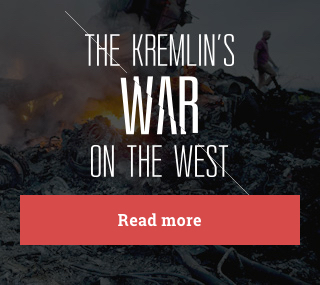 In our booklet below, we look at the Kremlin's new 'War on the West', and remember the courageous individuals who fought back. GML, via its wholly-owned subsidiaries, Yukos Universal Limited and Hulley Enterprises Limited, was the majority shareholder of the former Yukos Oil Company. Our goal is to obtain justice by ensuring that the arbitral awards are upheld and enforced. We believe the rule of law will prevail. On 25 September 2018, The Hague Appeals Court clarified the scope of the ongoing Dutch set-aside proceedings where former Yukos majority shareholders (GML) aim to reinstate the Arbitral Awards of 2014, which awarded them more than $50 billion in compensation after Russia unlawfully expropriated their investment.